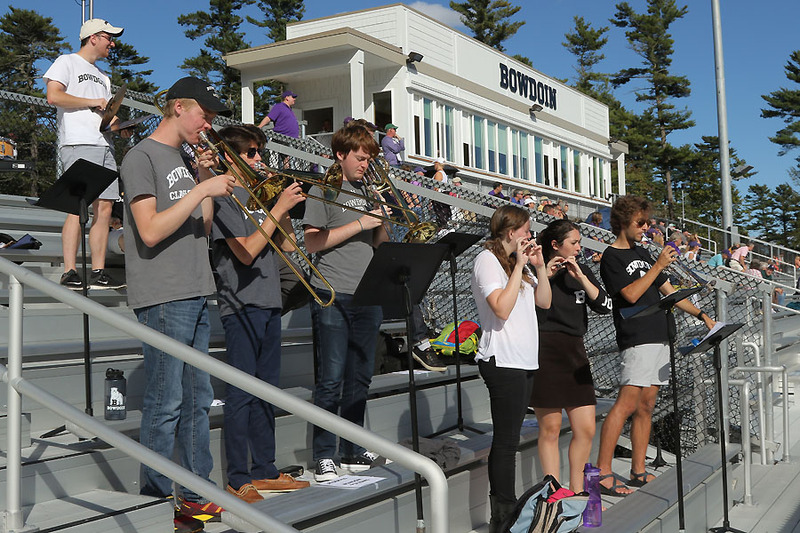 ONE, TWO, HERE WE GO: Bowdoin Pep Band performs at a football game last season. After becoming a chartered club last fall, the band has performed at football, hockey, volleyball and basketball games. If you noticed something different at the Bowdoin-Colby hockey game last weekend, it was probably a live rendition of “Sweet Caroline” or “The Middle” between periods, provided by the new Bowdoin Pep Band. 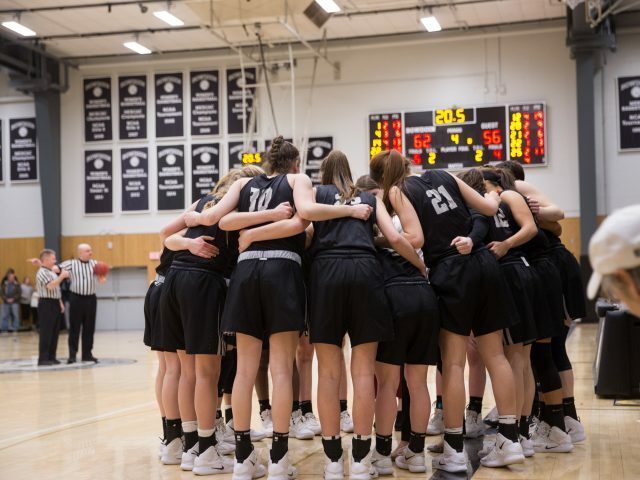 The Pep Band was officially charted by Student Activities last fall, but it is not altogether new to Bowdoin sports culture. An older version of the club existed as recently as about 10 years ago and did everything from hyping up under-attended events to serenading the 1 a.m. return of the 2007 women’s field hockey national champions. According to legend, the band split up after playing the USSR’s national anthem before a hockey game rather than that of the United States. The new band is hoping to channel the same spirit of playfulness as the old band. But it’s not all fun and games. Pep Band provides serious musical opportunities not currently found elsewhere on campus. For example, Brockmeier appreciates the ability to arrange songs. The band aims to be accessible to everyone, drawing from a large repertoire of musical tastes and even opening membership to students with no experience playing an instrument. “We have lots of noise-makers, bass drums and snare drums if you just want to pick up some sticks and play along,” said Brockmeier. Because it is composed mostly of students with many other musical obligations, Pep Band also remains flexible in terms of time commitment. With 26 people and a full drum kit, the Bowdoin-Colby game was its largest ensemble yet, but numbers vary based on event and arrangement. Lineup has even been known to change in the middle of a performance. Spirit Captain Missy Demczak ’21 remembers students in the audience leaving in the middle of the game on Saturday and returning to the arena with their instruments to join in. Brockmeier and co-leader Kathryn McGinnis ’21 began organizing the Pep Band this fall after bonding over the feeling of missing the large marching bands in which they played in high school. Brockmeier recalled that after conversations with students of similar backgrounds, he saw real interest. 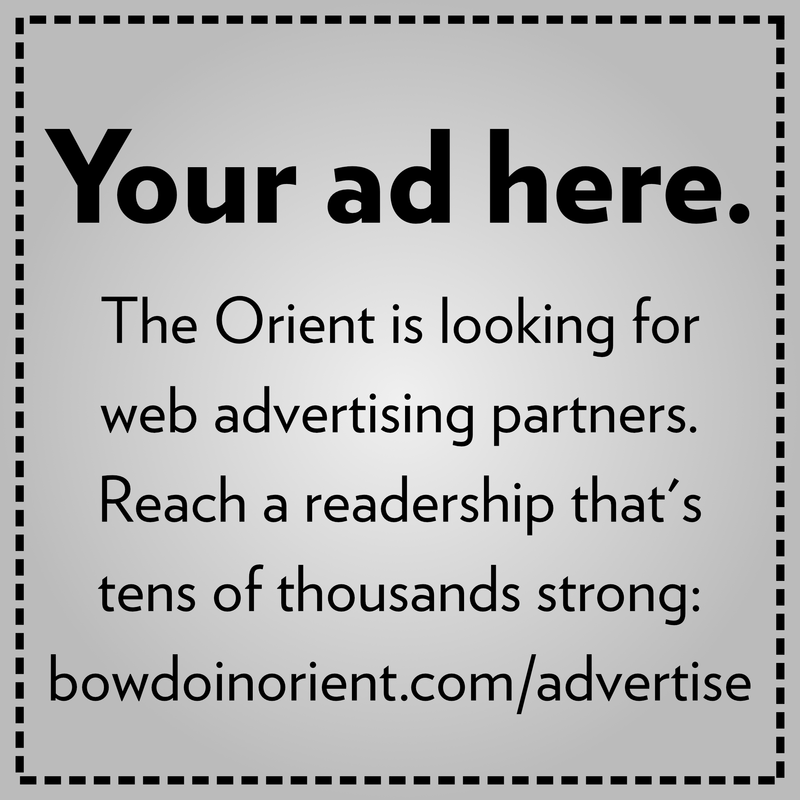 “We ended up having enough people that we thought we could give this a go,” Brockmeier said. Lowell Ruck ’21, who also played in his high school’s band, was pleasantly surprised to play in a Pep band in college. “It’s something I didn’t anticipate that I would keep doing, but it’s actually been kind of a blessing,” he said. Musicians say the band has also fostered a pleasant community spirit. They have encountered a positive reaction not only from students and players but also from coaches and alumni. “Phi Chi” is a traditional drinking song that used to be sung after every Bowdoin hockey goal in the 70s and 80s. 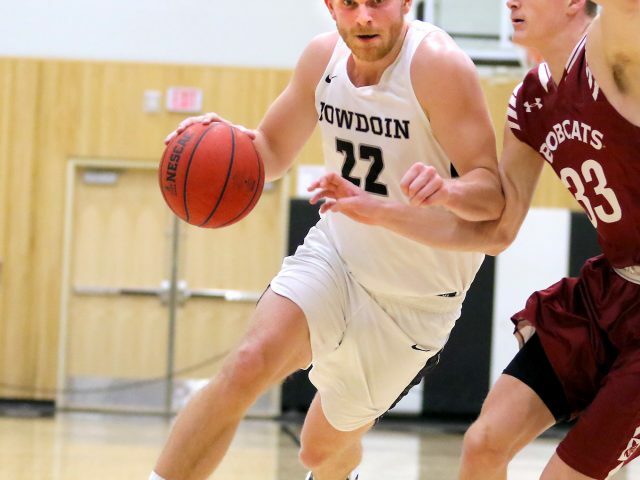 When a Pep Band alum from the original group heard the campus no longer knew it, he arranged the song for the Pep Band to perform at the Bowdoin-Colby game. The Pep Band has also developed a positive relationship with the Department of Athletics, Ruck said. Selecting songs is a collaborative process for Pep Band members, but many of the decisions have thus far been made by Brockmeier and Ruck, who have the most experience arranging. Pep Band members must be able to read the crowd and pick out tunes quickly. They played “Mo Bamba” at last weekend’s hockey game by ear and with no previous rehearsal. At the game, they received their first song requests. If players didn’t know the notes, they could ask around and someone would tell them. “If anyone wants to see the Pep Band play a song, we can definitely make that happen,” said Ruck. One worry amongst the band is that it is difficult to get a good student turnout to athletic events at a DIII school. One alumnus told the band that students used to pack the hockey arena for every game. At the center of this spirit was the Pep Band. While campus culture has changed, Demczak hopes that the Pep Band can still bring energy to games that may not have as big an attendance. “It’s also nice [that] if a game isn’t publicized as well, we can still go cheer the team on like ‘hey we got you!’” said Demczak. She added that the band members’ attitude will help it do that. “We’re all very energetic people. That’s why we’re the Pep Band, because we’re peppy,” she said. 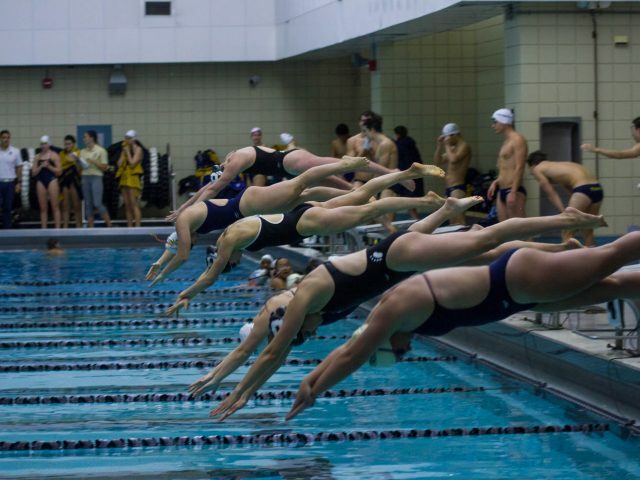 The group has played at hockey, football, basketball and volleyball games over the past two seasons, but they do not yet know their spring schedule. Still, members hope they have done enough to increase their visibility on campus and are looking forward to the future. “I would say the strongest contingent is the first years and sophomores, so that does bode well for our future,” said Ruck.